Ah, she might be the mom. Mei-Shun saw a big mantis on a blanket hung in southern balcony, asked her to leave. She slowly climbed the wall to the roof or over in sunshine; finished a great job, saying good-bye to her children. 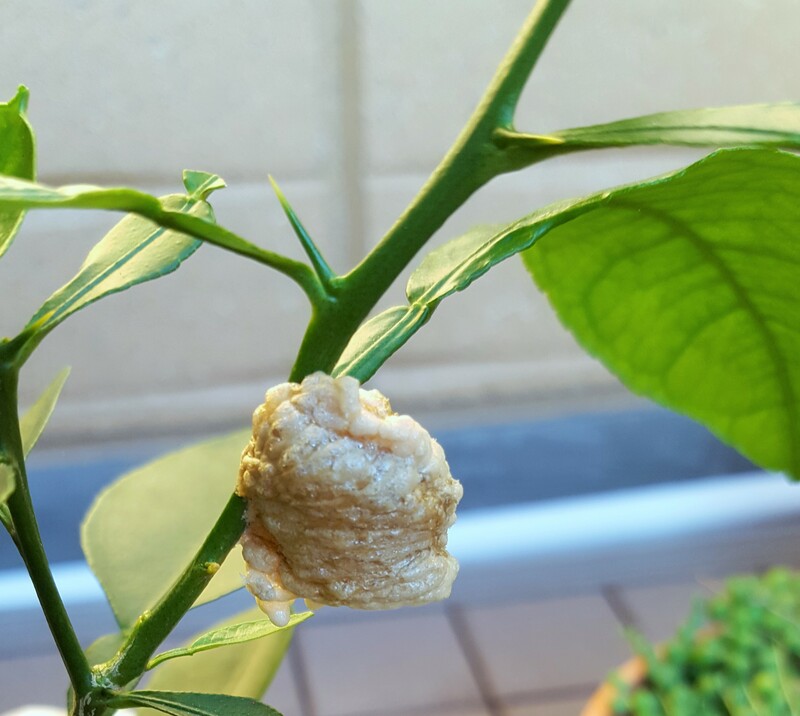 And that might be why our biggest grapefruit has grown thorns on green branches around the egg. They say this armor proves an adult citrus tree.